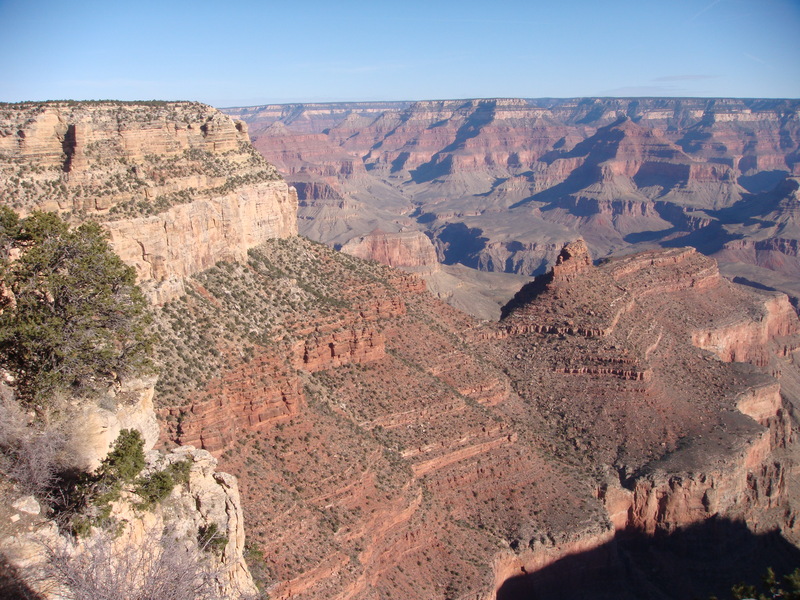 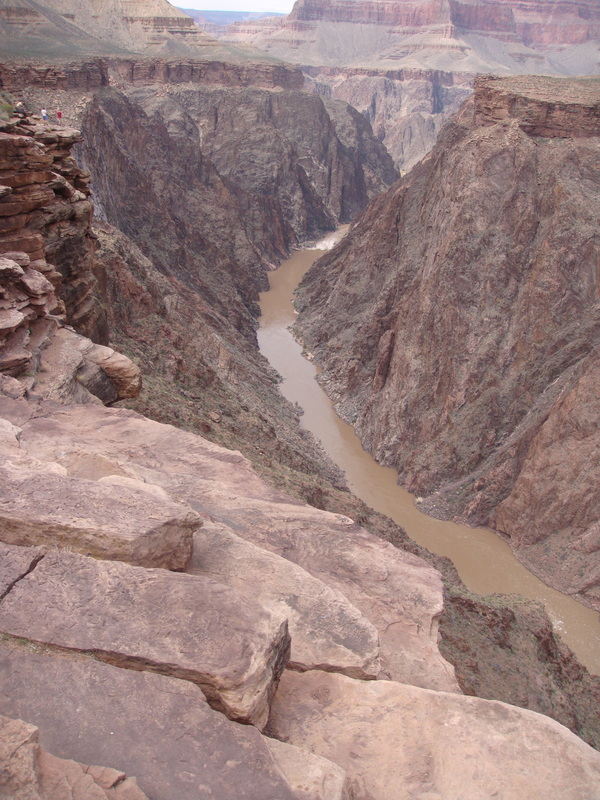 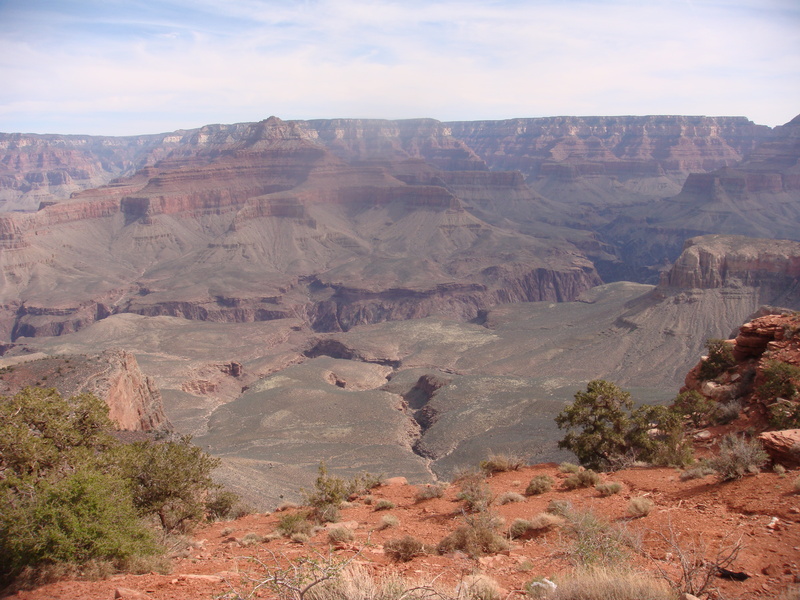 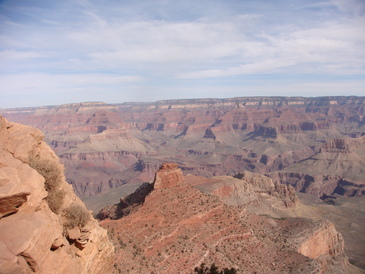 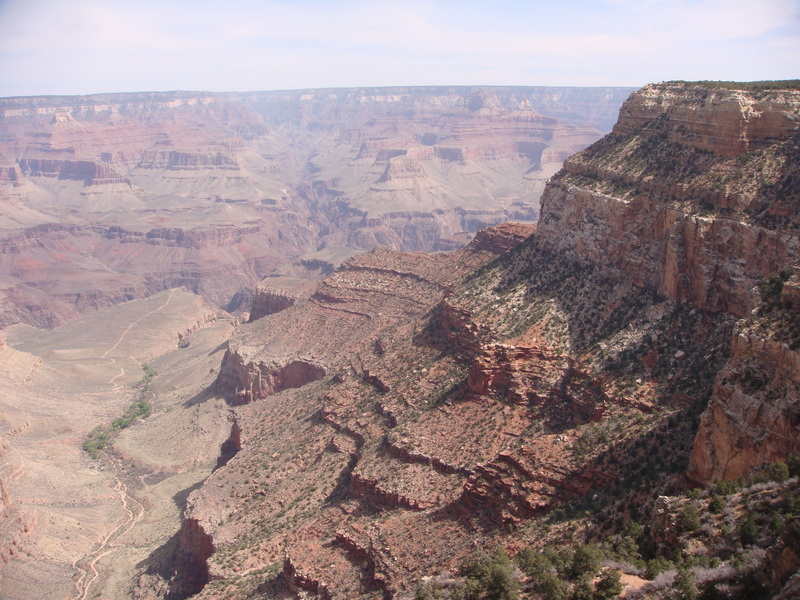 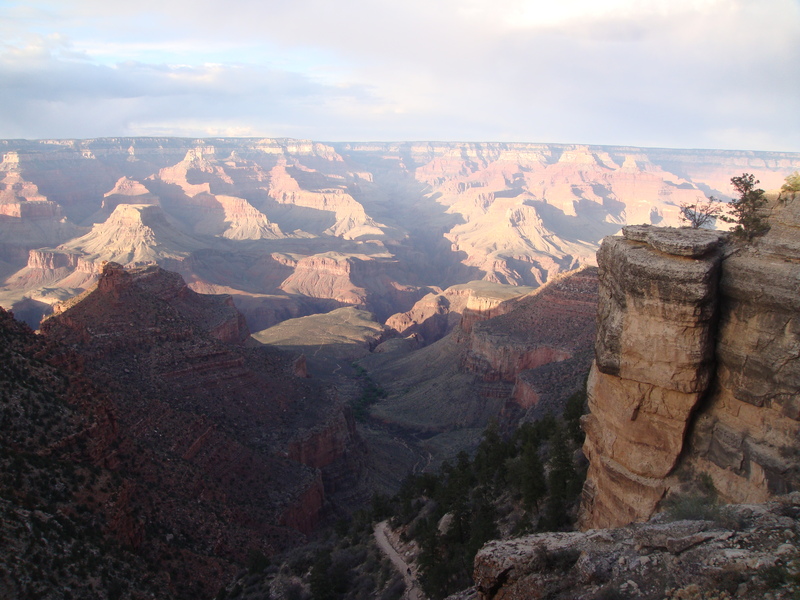 These are the best pictures from our trip to the Grand Canyon. 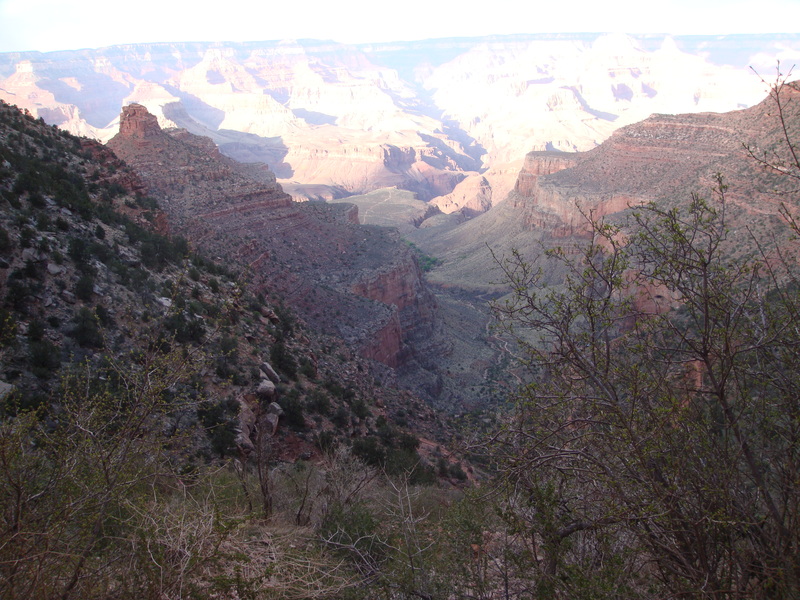 The full travelogue is here. 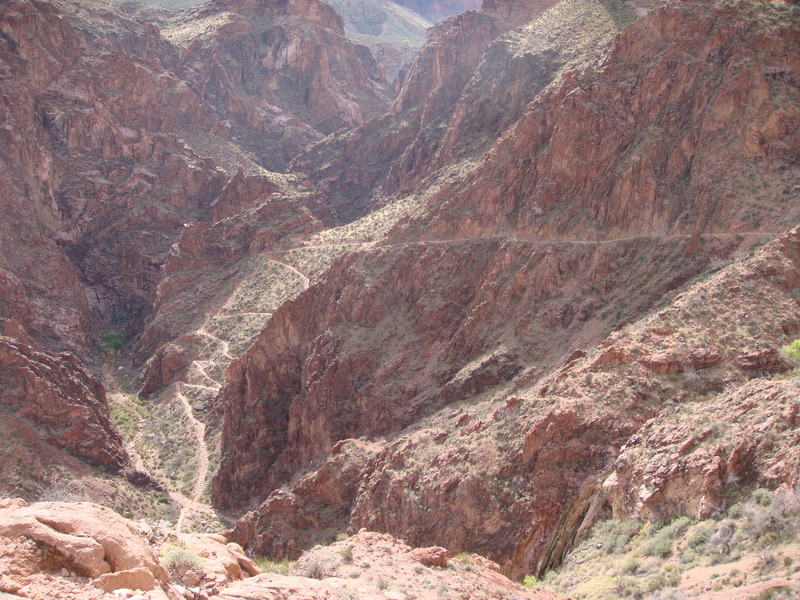 Click on any picture to see it bigger. 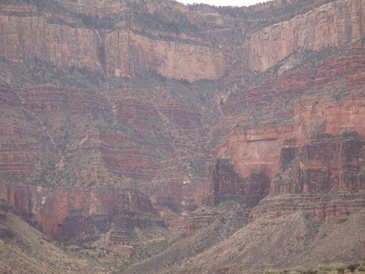 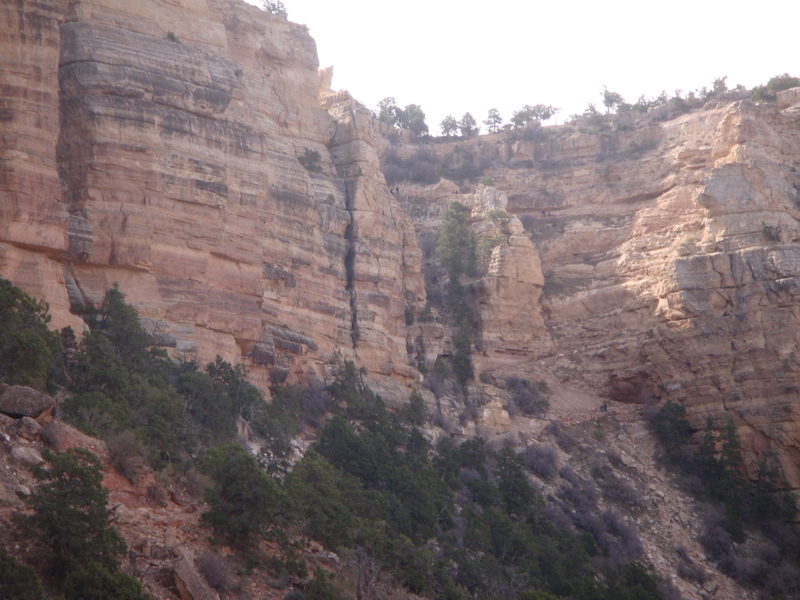 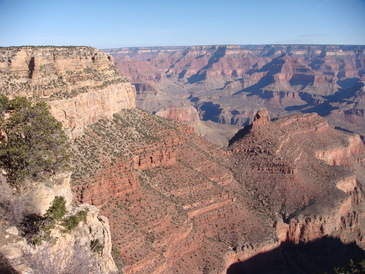 The Coconino cliffs, from the South Kaibab Trail. Near the bottom, looking up Bright Angel canyon into the oasis of Phantom Ranch. 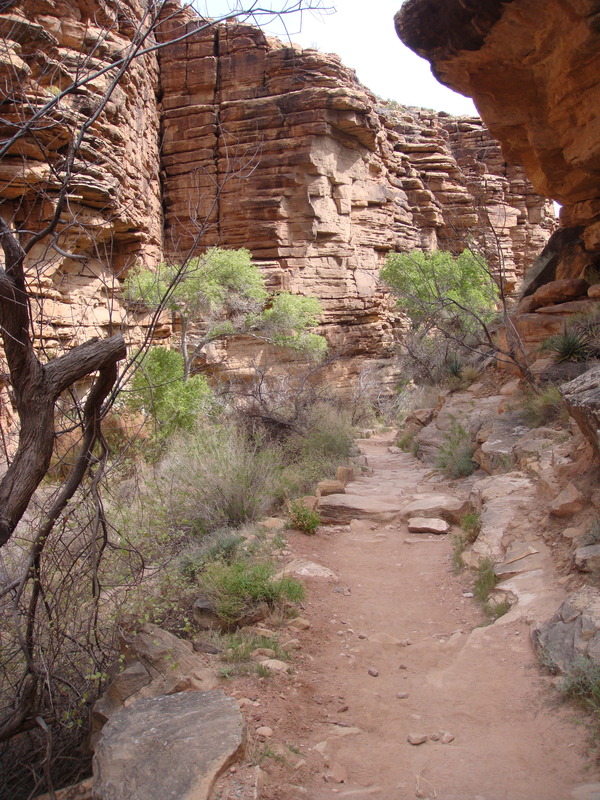 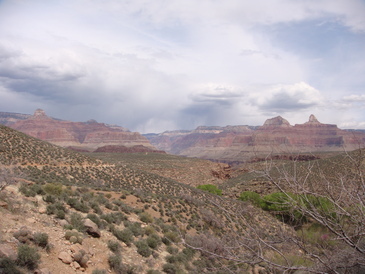 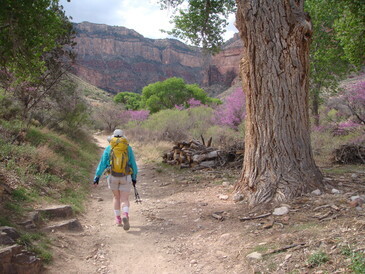 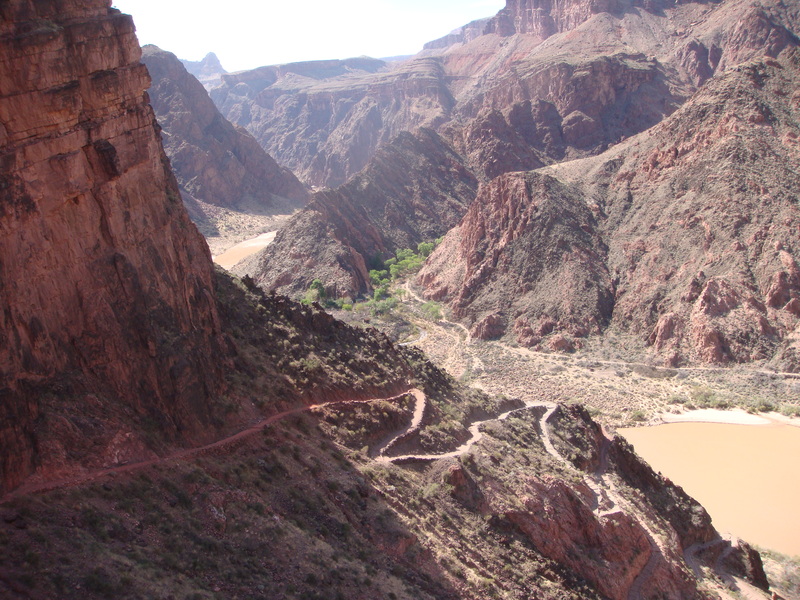 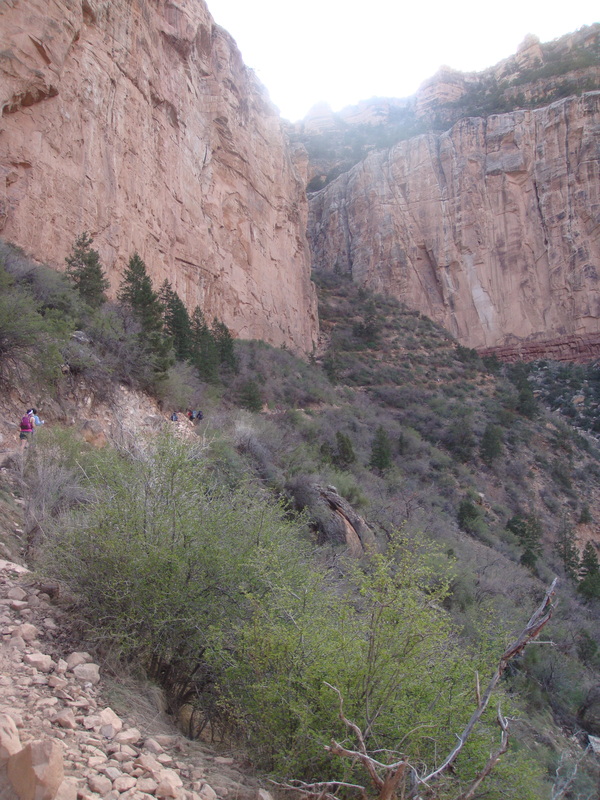 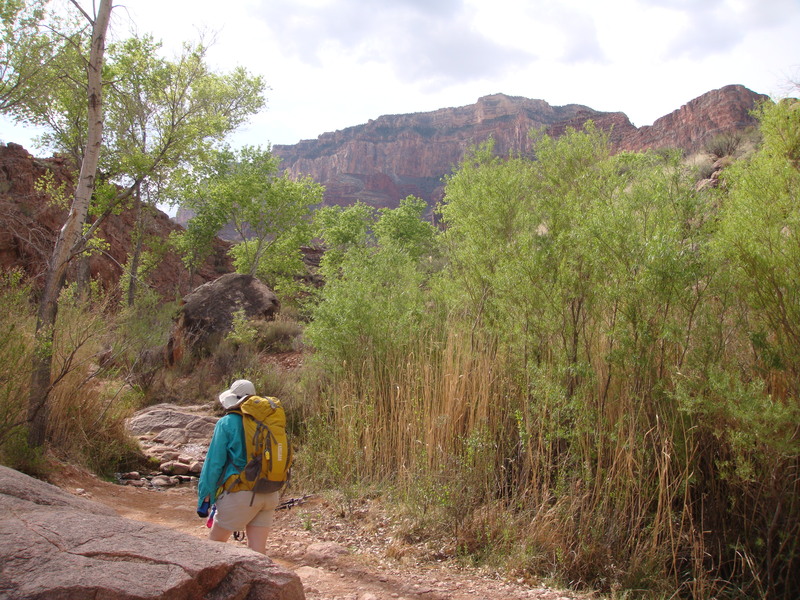 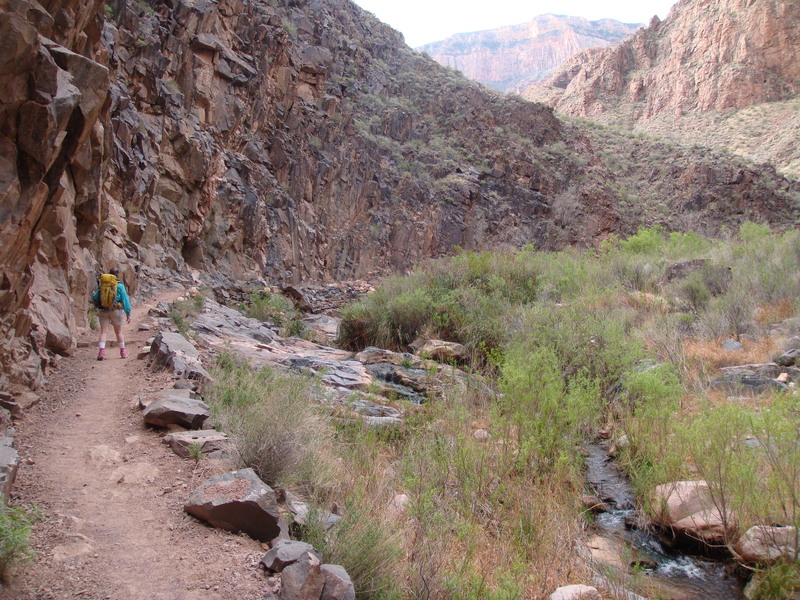 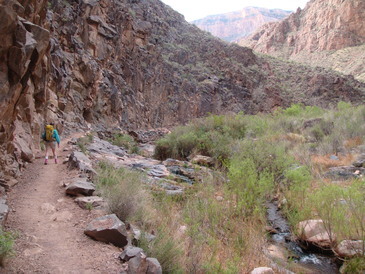 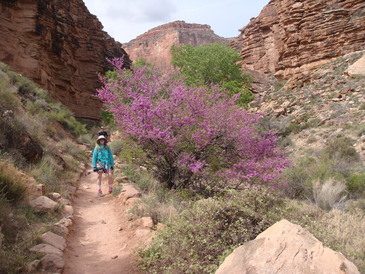 Returning on Bright Angel trail, more friendly and green than the South Kaibab. 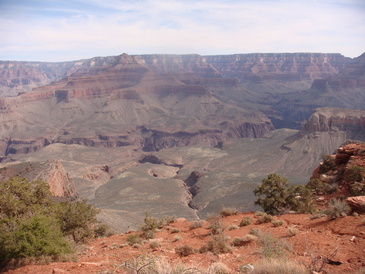 From the Six-Mile Overlook, looking back at Devil's Corkscrew. Arriving at Indian Garden campground, an oasis we had seen from the rim. Downstream through a gorge with no room to spare. Bright Angel Trail ahead of us, with the switchbacks leading up to the cliffs, through the little gap where they change orientation, and even above them up to the Rim. Rain on the North Rim.